Treat your gelato to the bowl it deserves. Some of our favorite sweet treats are best served in a bowl: cooling granitas and sorbets, luscious ice creams, creamy gelato. 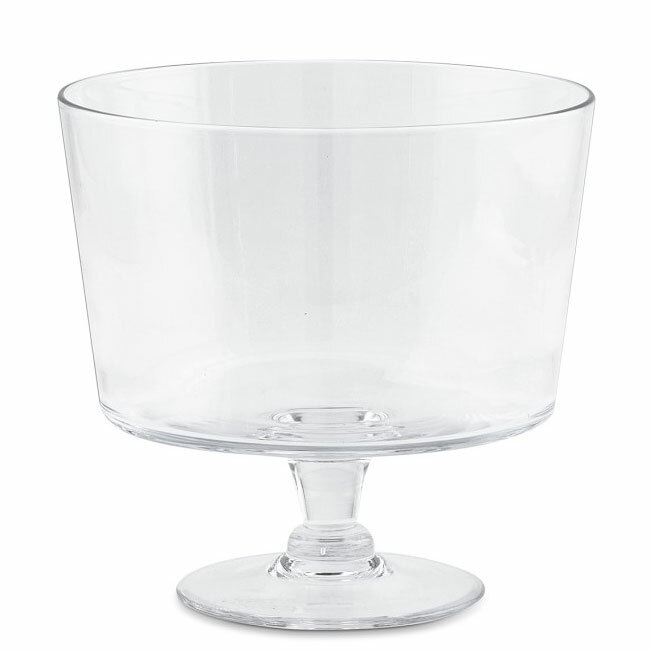 But while you may have one bowl doing duty for everything from cereal to ice cream, believe it or not, there are some specifically designed to hold desserts—some for sorbets, and others for multi-layered trifles. 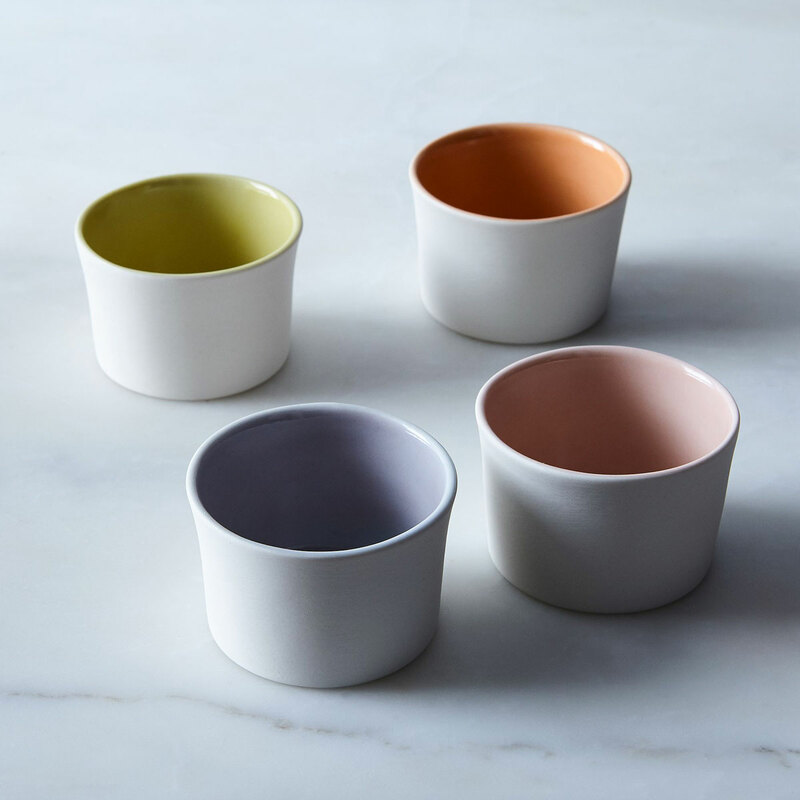 Scroll through to see all the different bowls/coupes/glasses you can add to your shelf, as well as the desserts you can make to fill them. 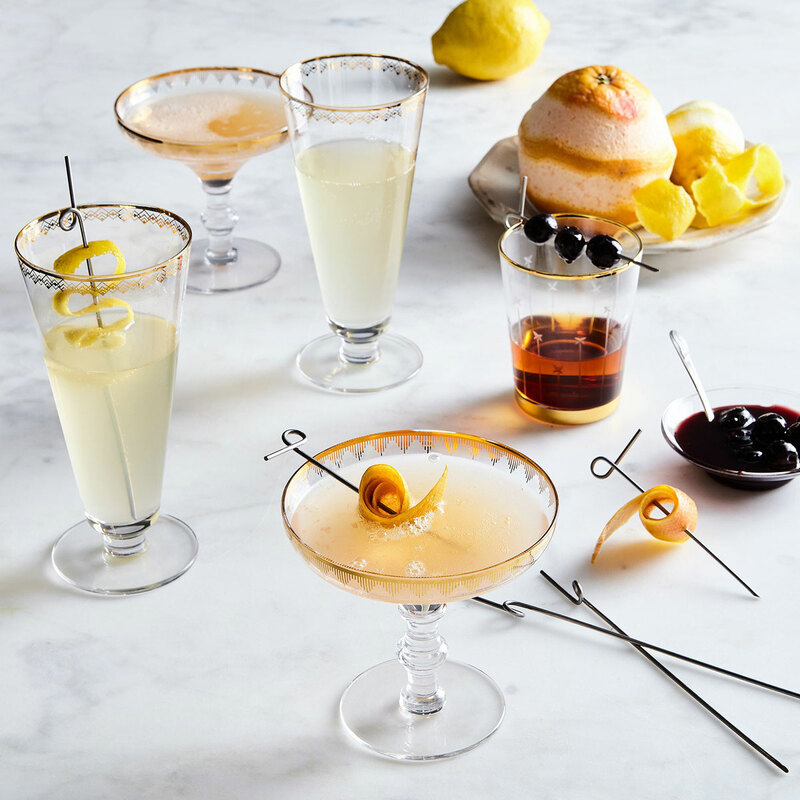 The gold rim on these coupes has an Art Deco vibe, and would look great paired with a sorbet (like this melon one, from ice cream queen Jeni Britton-Bauer) or granita—try Marisa Churchill’s Watermelon Granita with Cardamom Syrup. 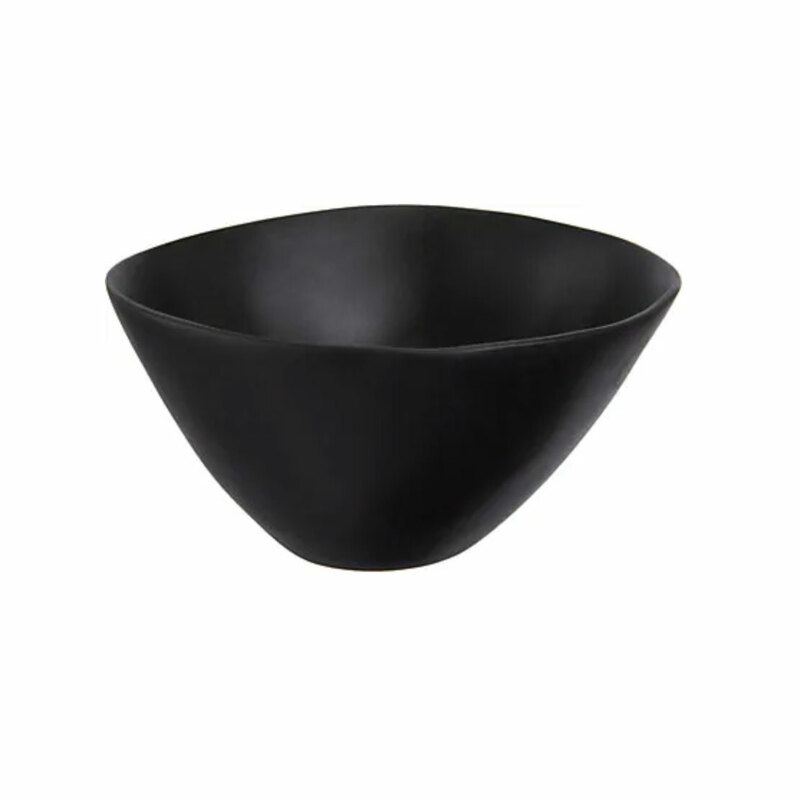 Fill these sleek, minimalist bowls with bright strawberry gelato—this homemade recipe from Jon Snyder has only four ingredients, and really lets the fruit shine by swapping cornstarch for eggs, cutting down on fat. Not to be confused with Tina Fey, this simple Tina Frey bowl is all about sorbet, and our yellow Lemon-Rosemary Sorbet would pop nicely against the black backdrop. These delicate glass bowls would work great for a fruity dessert—such as these Wine-Poached Strawberries and Apricots—so the colors show through. Ice cream? Check. Pudding? Check. 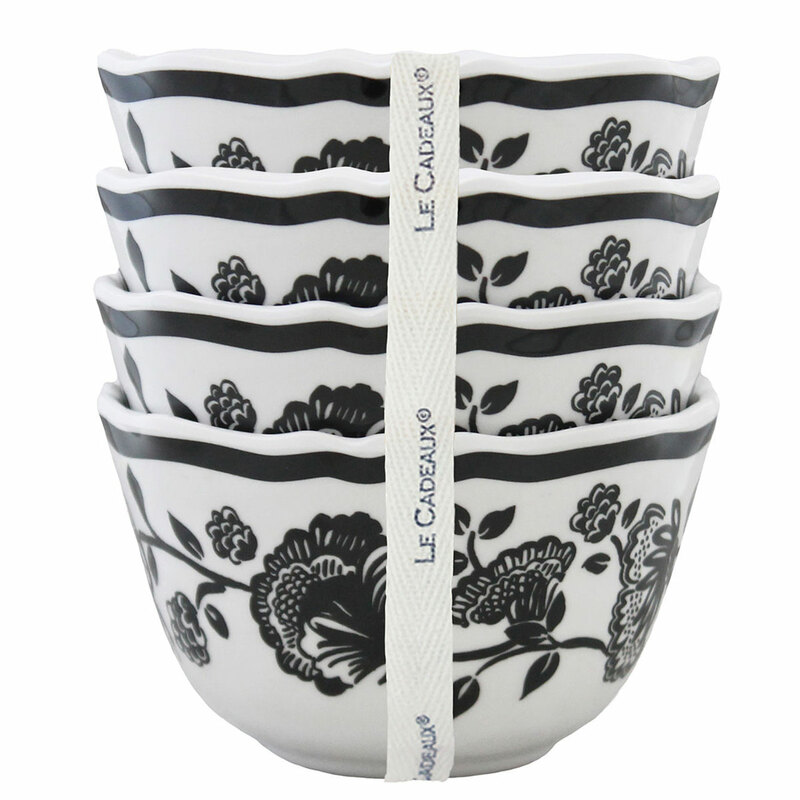 Whatever you want to put in these dessert bowls, it’ll work—and you have plenty of patterns to choose from too. Might we suggest serving Chocolate Ganache Bread Pudding in them? It’s the kind of ooey, gooey dessert that definitely needs a bowl. 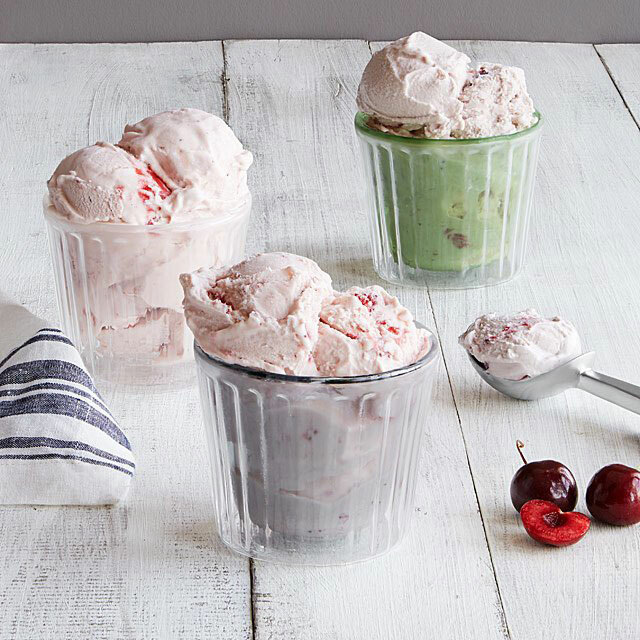 Double-walled borosilicate glass keeps ice cream cold in these cups, so all you have to do is pick which flavor to go with. We love this fragrant Rosewater-and-Saffron Ice Cream (Bastani Irani); or, classic vanilla works too. 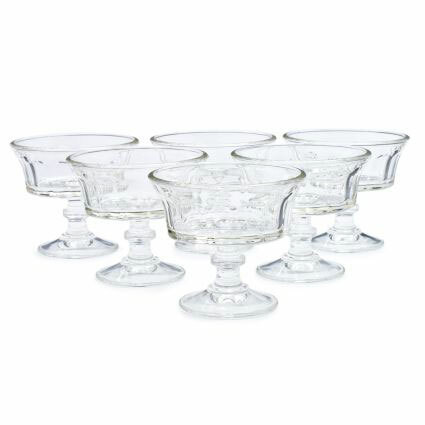 Trifle bowls are a pretty standard design, all clean glass lines on a pedestal. As far as recipes go, this Chocolate-Cookie Crunch Trifle from D.C. pastry chef Tiffany MacIsaac is perfect for chocolate fiends—or, go for tiramisu.